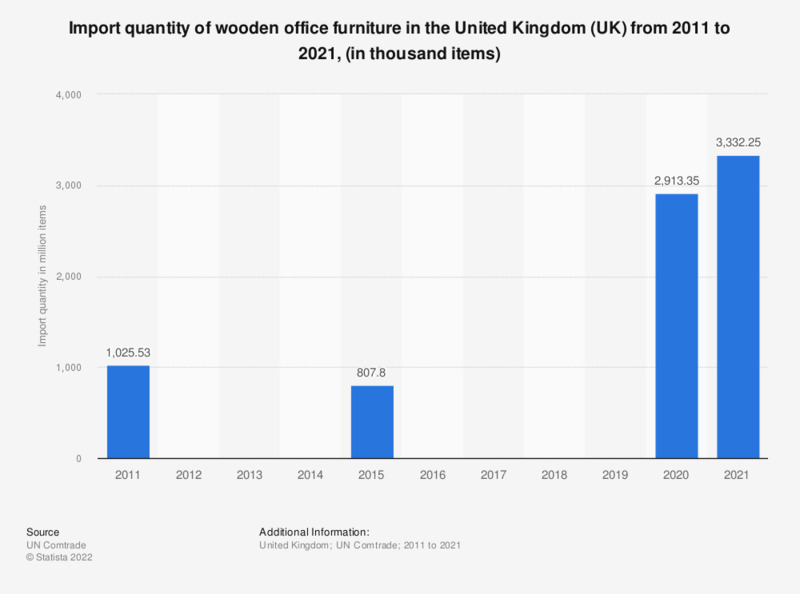 This statistic shows the quantity imported of wooden office furniture in the United Kingdom (UK) between 2011 and 2015. Over the total time frame observed, the quantity imported decreased by more than 200 thousand item from 1.026 million items in the year 2011 to 807.8 thousand items in 2015. Data on the imported quantity for the years 2012, 2013 and 2014 were not available.